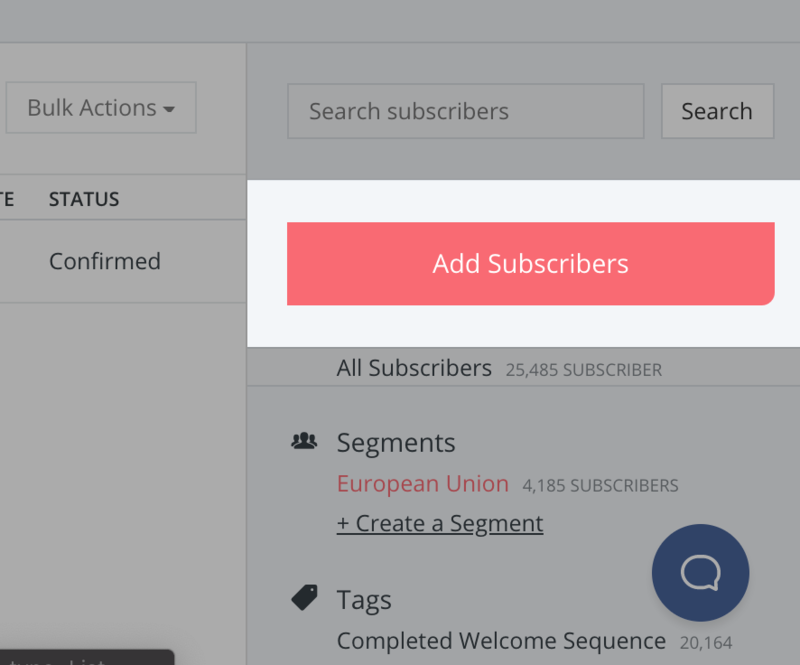 Did you know that adding a Subscriber can be both for adding new Subscribers to your account, and adding existing Subscribers to specific places in your account? Whether you're here to add a current Subscriber to an email Sequence, or put them on a Tag, or if you're looking to add a new Subscriber (with permission of course), we're going to show you how to get them to the right place. Scroll down past the Subscriber Graph, and on the righthand side below the search, you will see a button to Add Subscribers. After you click Add Subscribers, 3 different options will appear. To add a single Subscriber, click the option on the very left. You'll be taken to another pop-up dialogue window where you can enter in the info for this Subscriber! Note: If you are adding an email address for the first time, you'll want to put in their name here. If this Subscriber is already in your account, and you are just adding them to a Tag or Sequence, you only have to enter the email address here if they already have their name listed. On this window (shown below), you will choose where this person will be added to in your account. You can put them on a Tag, a Sequence, a Form—or several of each if you'd like! 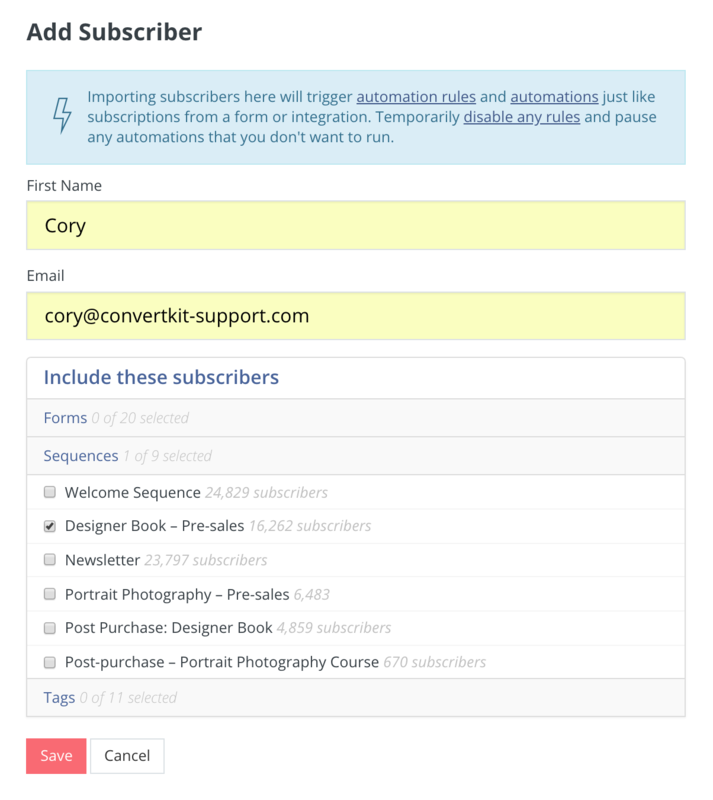 Once you have everything selected, where you'd like this Subscriber added, hit save, and you're done! They will now be added to the places you've selected in your account. The ConvertKit App updates itself in terms of numbers, stats, and reports regularly, to reflect numbers correctly. (This means that it's not real time.) You will see those changes update shortly after making them, and if not, let us know.